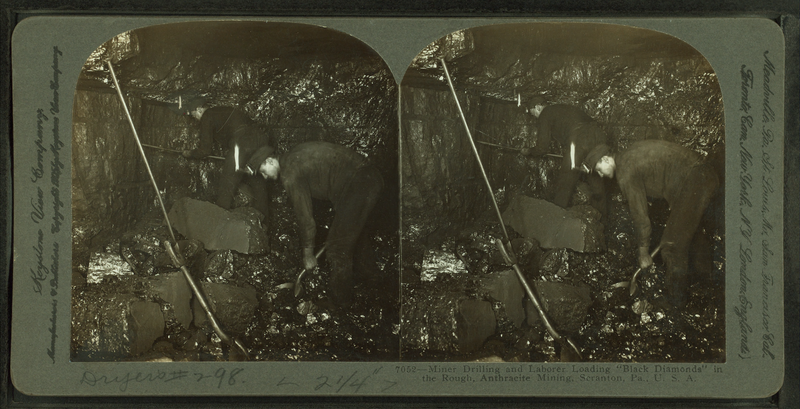 Miner drilling and laborer loading black diamonds…let’s help our audience work less by crafting an invitation to a conversation. I recently spoke to a group of dynamic entrepreneurs, Creative Business Posse, about how to talk about their business. I’d heard some new business owners say they thought they were being selfish if they spoke about themselves or their business. Isn’t the opposite true? If we don’t put the work into unearthing our purpose, aren’t we asking our conversation partner work for it? If we communicate our message well, we create an invitation to a conversation. Our presentation is like a setting for a precious gemstone. If you’ve seen a diamond in the rough, you’ll know that it’s value increases when it is cut, and set to best advantage. If we communicate our business clearly, we can show others how that diamond of an idea catches the light. If we make our listener/audience work for it, we’re asking them to put on a hard-hat, pick up a pick, and start digging. Carmine Gallo’s ‘How to Pitch Anything in 15 Seconds’ describes a process of uncovering they key elements that make your business tick. It’s a useful framework for communicating any key idea. That key idea could be a health treatment, a contract pitch, an election platform, your business, or even yourself. Use this as a guide to fill out the template below. I’ve attached a pdf for you to download and fill out as many times as it takes to get your pitch just right. An artist friend once said, “There’s always another blank piece of paper.” That gives us the freedom to make as many ‘starts’ as we need on what could seem like a daunting process. Good luck in working on your invitation to a conversation. Keep polishing it, and you will have something that sparkles for you and your conversation partner.